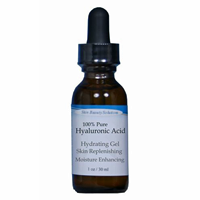 Hyaluronic acid is naturally produced, but as we age, the production levels drop. 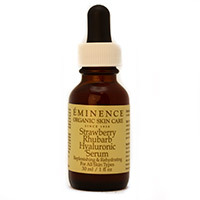 This causes your skin to sag which reduces the plumpness and fullness in your face. 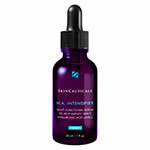 SkinCeuticals next product in their arsenal is the HA intensifier which has pure hyaluronic acid and proxylane as well as botanical extracts that all work together to deliver hydration and younger and more radiant skin for a tighter, smoother appearance. 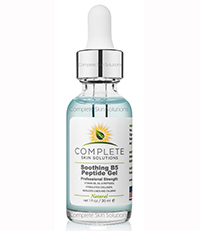 This antioxidant gel combines antioxidants Vitamin B5, Vitamin B3, with 6 clinically prove peptides to improve and preserve youthful looking skin. Skin will feel nourished, firmer, softer, with a more meaningful, healthier youthful glow! Provides Intense Hydration And Supplies Optimal Antioxidant Protection And More Important Has Extraordinary Healing Capabilities! Hyaluronic is regarded as one of the best moisturizing ingredients available due to it moisture retention properties. Our 100% Pure Hyaluronic Moisturizer is the only product we recommend to apply to the skin immediately after a peel. HA⁵ Rejuvenating Hydrator provides immediate smoothing in the appearance of fine lines and wrinkles and restores the skin’s natural ability to replenish its own hyaluronic acid for overall skin health. SkinMedica HA⁵ Rejuvenating Hydrator provides immediate smoothing in the appearance of fine lines and wrinkles and restores the skin’s natural ability to replenish its own hyaluronic acid for overall skin health.